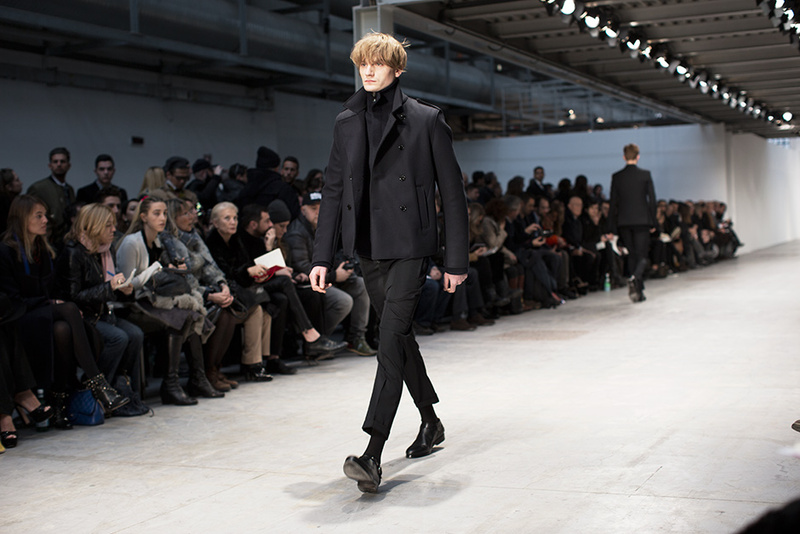 I like that coats, look so elegant. Have a great weekend. love this kind of shape ! 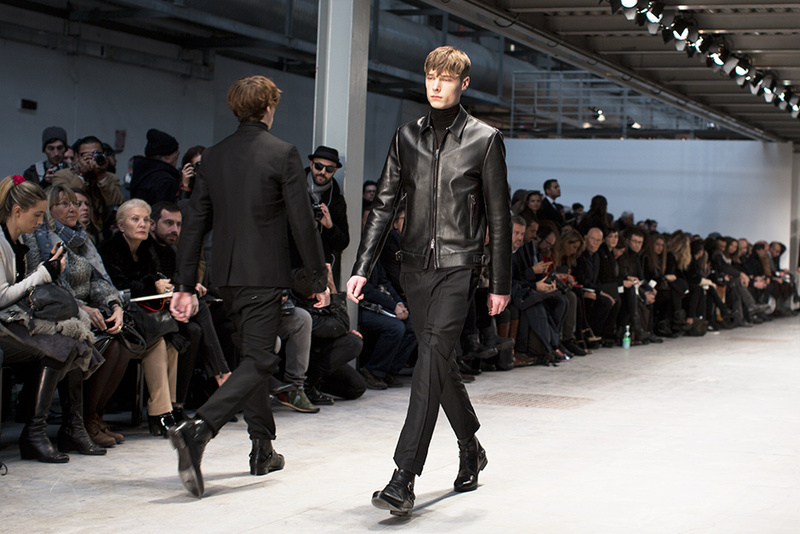 Perfect black outfits, I love the touch of leather! I adore it! 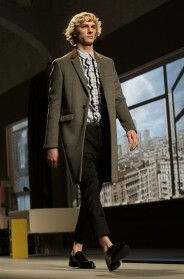 i would absolutely wear this masculine look! 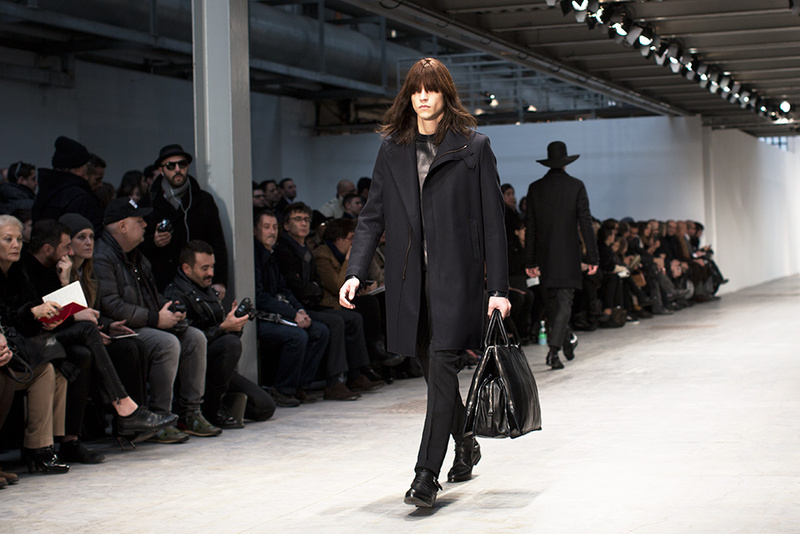 Nice to see all black can still be dramatic, stylish, and interesting. DIVINE!!! a cross road between masculine and feminine! For an entirely monochrome collection, I can certainly get behind this. I’ve never worn all black and even with a black suit I have to have either a brightly colored shirt or tie and socks. But I do love what he’s wearing in the 3rd photo. I’m a real fan of the length of the inseam shown here. 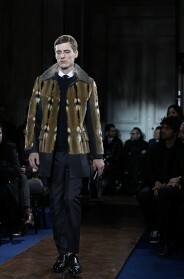 Beautiful collection, love the shape of coats! I think my eyes just witnessed the most perfect leather jacket. back to basic colors this fall. That leather jacket is fantastic! Is that Veronica Webb in the first image? Great shoe and I love the hairstyle on the long hair guy. i loved the ladys out fit n that over sized bag was the best part but maybe u could make it a combo back pack as well tht way the bag can be worn as well as carryed but put on removeble back pack straps ….